These 8 fastest, most advanced Russian fighter jets are sure to give pause to anyone thinking of challenging Russia. The air power has always been one of the staples of Soviet (and Russian) military might. During the Cold War, together with tanks and nuclear submarines, the West most mostly concerned about various MiGs and Sukhois stationed on airfields all over Mother Russia. Although there aren’t any Russian airplanes among the Fastest Commercial Passenger Planes in the World Today, when it comes to military aviation, Russia still has the know-how to make fearsome fighting machines. Modern Russian Air force (or VVS, as it is abbreviated in Russian) often seems like a poor cousin, compared to the Red Air force that stroke fear into the hearts of NATO planners. During the 1990s and the collapse of the Soviet Empire, there was never enough money for training flights, fuel, basic maintenance or even pilots’ salaries. Naturally, this led to a drastic fall in performance and readiness, seriously cutting into the number of available fighters and personnel. With the rise of Vladimir Putin and, more importantly, sky-high oil prices in the early 2000s, things started to improve. New designs were created and the government started procuring new airplanes once again. Although the technological gap with the Western air forces, which was always present but grew significantly wider in the 1990s, seemed insurmountable, Russian designers managed to keep their fighters competitive, despite a lack of research on the scale of the United State Air Force. Today, the Russian Air Force is a far cry from the joke it was in the 1990s. Although not quite back to Soviet levels, it represents a potent threat to any Russian enemy and in some cases can even be considered on par with the 11 Fastest US Air Force Fighter Planes. With significant funds being poured into joint research with China and India, things are bound to improve even more, and soon we will need a new list of 10 fastest, most advanced Russian fighter jets. 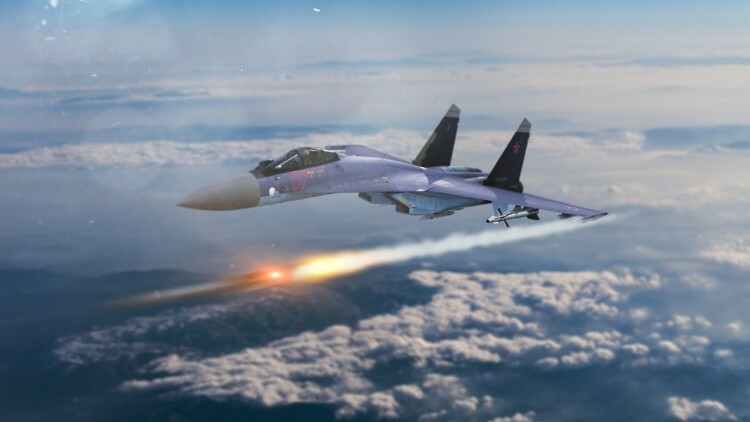 However, Russian intervention in Syria revealed some glaring shortcomings in both procedures and pilot training, which, many would argue, are far more important than the airplane itself when it comes to combat. In order to create the list of 8 fastest, most advanced Russian fighter jets we started from the Global Security’s page listing Russian aircraft. Then we narrowed the list down by eliminating airplanes no longer in active service. This left us with 8 models we ranked according to speed and year they entered service. We also added points for the technological generation of the aircraft (4, 4+, 4++ and 5).